President Trump on Monday used a tweet by one of his outspoken celebrity critics to promote the administration’s plan to transport detained immigrants to sanctuary cities and release them there as a way to punish his political enemies. 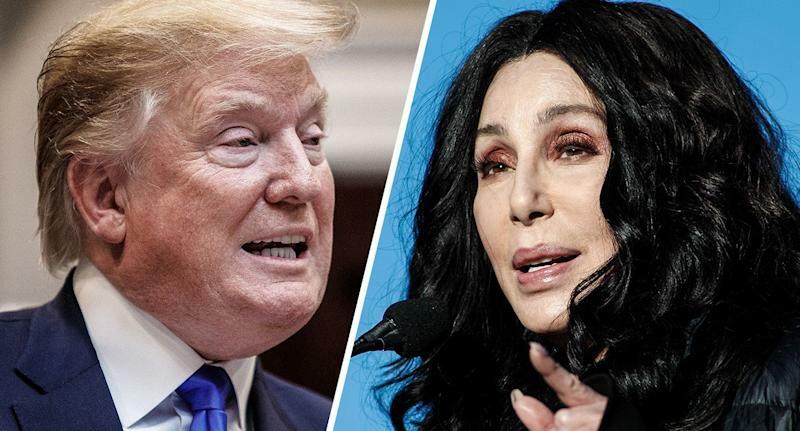 On Sunday, Cher expressed concern over the possibility of immigrants being bused to Los Angeles. A spokeswoman for the singer and actress did not immediately return a request for comment. Last week, the White House pushed back on reports that Trump was considering such a plan, which alarmed critics, including officials at the Department of Homeland Security, who said it would raise legal and logistical concerns. “This was just a suggestion that was floated and rejected, which ended any further discussion,” a White House official told the Washington Post on Friday. But hours later, the president said he was giving “strong considerations” to placing detained immigrants in sanctuary cities. The term “sanctuary city” refers to localities where officials generally do not inform federal immigrant agencies about undocumented immigrants who come to their attention. The intent is humanitarian and also to encourage immigrants to cooperate with police and other government agencies without fear of deportation. Those areas have been a target since the early days of the Trump administration, when he signed an executive order attempting to deny funding to jurisdictions that did not cooperate with federal immigration officials. The order was blocked by a federal judge. “We hereby demand that they be taken care of at the highest level, especially by the State of California, which is well known or its poor management & high taxes!” the president wrote. The president issued another tweet about the policy on Monday morning. Trump says WikiLeaks is ‘not my thing.’ It was his thing in 2016.